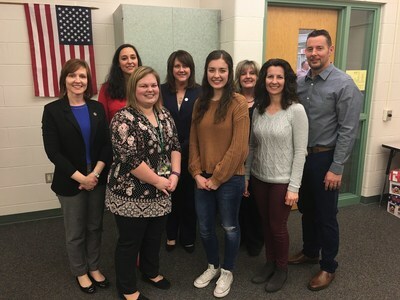 HARRISBURG, Pa., Feb. 28, 2019 /PRNewswire/ -- Centric Bank hosted a live watch party and video reveal at Central Dauphin High School, in Harrisburg, PA, on Wednesday, February 27, to celebrate Taylor Brown, one of five nationwide finalists in the American Bankers Association (ABA) Foundation's video competition Lights, Camera, Save! Taylor and her family joined Central Dauphin teachers, administrators, PA Bankers Association, and the Centric Bank team to watch the ABA YouTube channel for the live announcement of the winning video. Taylor Brown, center, celebrates Lights, Camera, Save! third-place win with parents, Central Dauphin business teacher, and Centric Bank team. "Cash Flow," an original song written and performed by Taylor, a senior, won third place with a cash prize of $1,000. "We are very proud of Taylor and her ability to blend her creative talents with a robust message of saving. Gen Z is immersed in YouTube on a daily basis, with 95% of the demographic using it and 50% reporting they 'can't live without it,'" says Patricia (Patti) A. Husic, President and CEO of Centric Bank. "It's critical for Centric Bank to educate young savers on the platform of their choice. 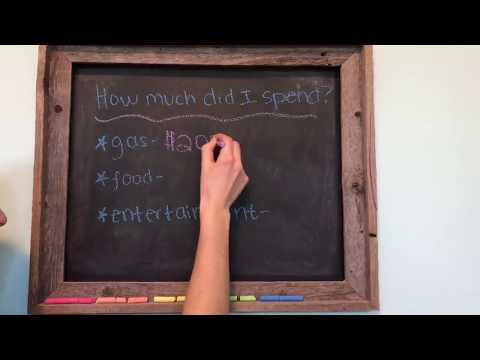 Whether you use a savings app or a traditional savings account, learning how to save is paramount to financial independence." In January, Centric Bank awarded Taylor a $500 prize for her original song and video submission as the winner of their regional Lights, Camera, Save! contest. Centric Bank then submitted her video to ABA Foundation's national competition. "I participated in this contest because I saw an opportunity to combine my passion for songwriting with an important message about finances," says Taylor. "I am extremely grateful to Patti Husic and the Centric Bank team for selecting my video and for their enthusiasm for educating local youth about the importance of saving." "The Lights, Camera, Save! competition allows students to combine their technological skills with newly learned financial knowledge and produce something they can refer back to for the rest of their lives," says Eli C. Nilsen, the Central Dauphin High School business teacher who offered the contest opportunity to her class. Lights, Camera, Save! is a nationally sponsored contest by ABA Foundation and was locally launched by Centric Bank, one of only five Pennsylvania banks to offer the contest. In January, 18 students submitted videos on the importance of saving money representing high schools from Bucks, Cumberland, Dauphin, York, Montgomery, and Lebanon counties and were honored at Centric Bank's Lower Paxton Financial Center. An American Banker 2018 Best Bank to Work For, three-time Best Places to Work, and Top 50 Fastest-Growing Companies for six years, Centric Bank is headquartered in south central Pennsylvania with assets of $704 million as of 12/31/18 and remains the leader in organic loan growth in central Pennsylvania. A locally owned, locally loaned community bank, Centric Bank provides highly competitive and pro-growth financial services to businesses, professionals, individuals, families, and the health care industry. Centric Bank ranks #8 in approved SBA 7(a) loans in the Commonwealth of Pennsylvania as of June 30, 2018, and ranked #110 in SBA 7(a) loan volume in the United States at the end of 2017.